Dubbed ‘the beast’ that ‘looks like a bulldog’, the world’s largest wriggler has arrived in New Zealand. 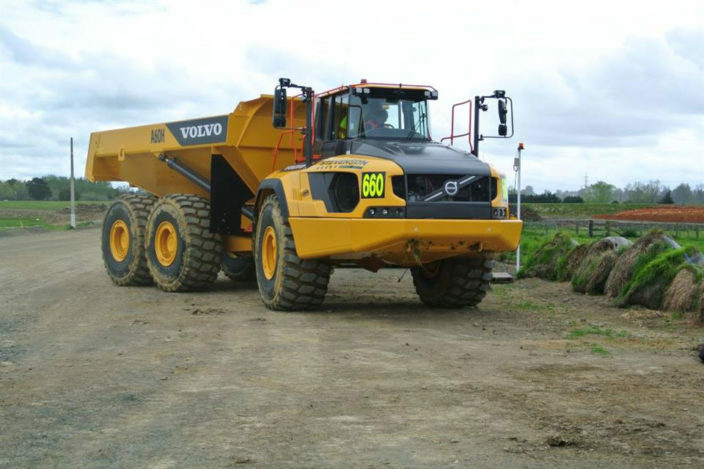 Not only is the Volvo A40H articulated hauler the first of its kind to work within New Zealand’s mining industry, this impressive machine is the first in the country, with another two to be delivered over the next few months. They will be used by Stevenson’s Mining for Auckland’s Drury South Project.